Absolutely luxury house in Arbutus sits on 33' X 122' lot. 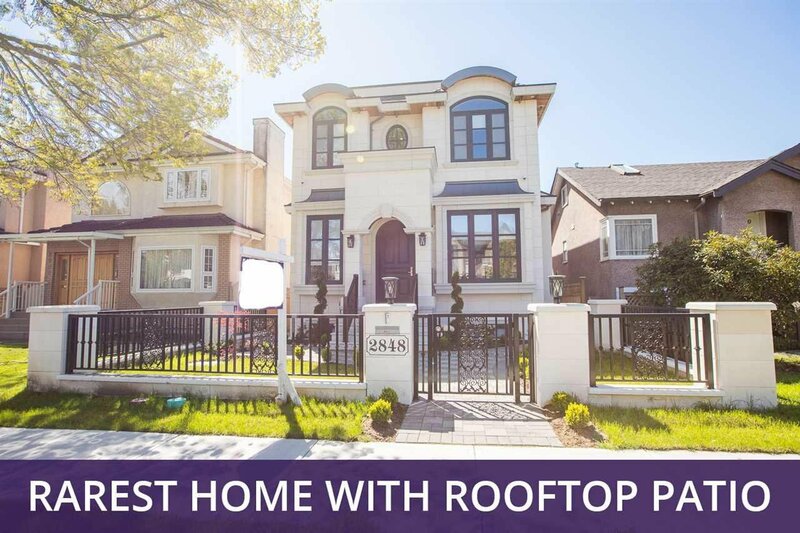 This boasts 2824 sqft of spacious & open living space, superb workmanship & materials, engineered hardwood & tile flooring throughout, chef's kitchen with custom cabinetry & Miele appliances. 3 spacious ensuite bdrms upstairs. Plus view of the city and mountains from rooftop deck, perfect for outdoor entertaining. Basement offers huge recreation room with custom design wet bar, 1 bdrm, sauna room & laundry. Special features: A/C, radiant heat, TV monitored security system, hookup for BBQ, 2-5-10 NHW etc. Prince of Wales secondary and Trafalgar elementary catchments. Short distance to transportation, Arbutus / W Broadway / W 4th / Granville shopping, Kit beach park, UBC, top schools etc. It is a must see!